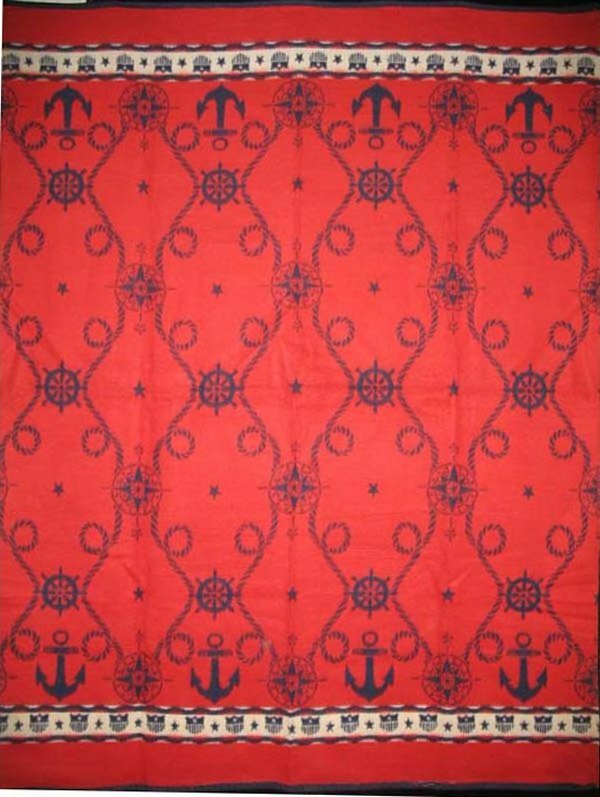 Identical Beacon blankets with nautical motifs are an uncommon find. Woven so that one side is navy blue, the other side is a red background. Nautical motifs include ropes, anchors, wheels, etc. Hard to find as a pair, offers other possibilities for use because of the color reversalsuch as chic upholstery yardage. Ask about our other pictorial Beacon blankets, as well as classic Indian motifs and geometics we are in the process of uploading to the site.